The Newberry College Department of Nursing today announced its spring 2018 graduates have achieved a 100 percent first-time pass rate on the NCLEX-RN exam. The NCLEX-RN is a standardized exam given by the South Carolina Board of Nursing to assess the readiness of new nursing graduates to enter the nursing profession. The state Board of Nursing uses the first-time pass rate in its assessment of nursing programs. Although Newberry’s overallpass rate for the NCLEX-RN was 92 percent (higher than the state average), its first-time pass rate had dropped in 2016 and 2017. In response, Newberry College developed a strategy to address the issue. Newberry College administrators presented a performance improvement plan to the state Board of Nursing, with the goal of achieving 90 percent or better for the first-time pass rate on the NCLEX-RN. Newberry partnered with ATI Nursing Education, a nationally recognized test preparation expert, to provide regular content reviews focused on helping students apply their cumulative nursing knowledge and offer supplemental instruction to better familiarize students with the unique testing environment of the NCLEX-RN exam. Newberry also provided one-on-one support for students needing additional help on specific subject matter. Kayla Alewine, one of the spring 2018 Nursing graduates responsible for achieving the 100 percent first-time pass rate, said she and her classmates understood the importance of performing well on the NCLEX and knew what they needed to do to achieve that result. Interim Vice President for Academic Affairs Dr. Sid Parrish, Jr., also praised the Nursing faculty for their efforts in creating a strong action plan for improvement. 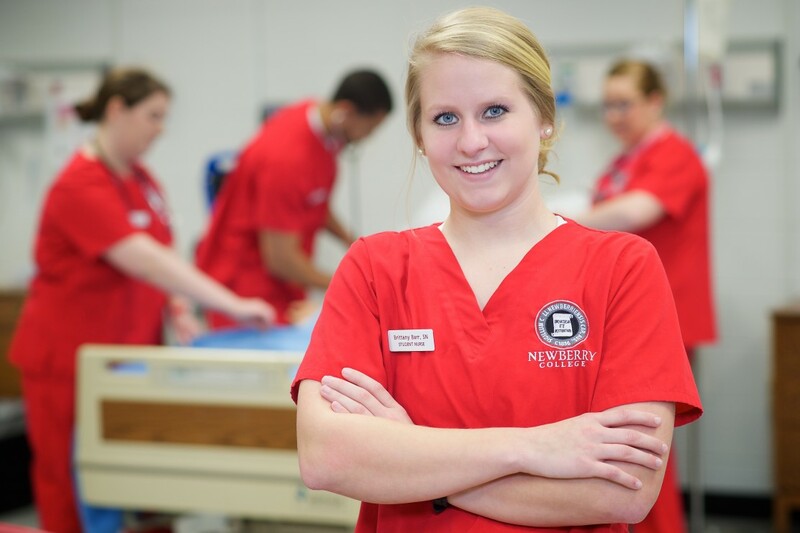 Building on the success of its traditional program, the RN-to-BSN Completion program was among the first adult degree-completion programs the College offered when it launched Newberry Onlinein 2017. The Nursing program also is a primary focus of the College’s recent fundraising initiatives. Construction of a new Nursing facility is the top priority of Newberry’s Scaling the Summitcapital campaign.